Loftek Nova S 50W Floodlight Can Do It All! My husband works in his garage A LOT and, when he saw my new Nova S 50W RGB Floodlight, he was really excited to use it!! It is the newest product in Nova series with 16 remote-controllable RGB colors, perfect for garden, stage, party, decoration and working in the garage! We also love to entertain, have people over in the summer and have outdoor parties! This Flood Light is perfect for these events and I LOVE how you can display 16 colors with it! You can create any mood at any time! 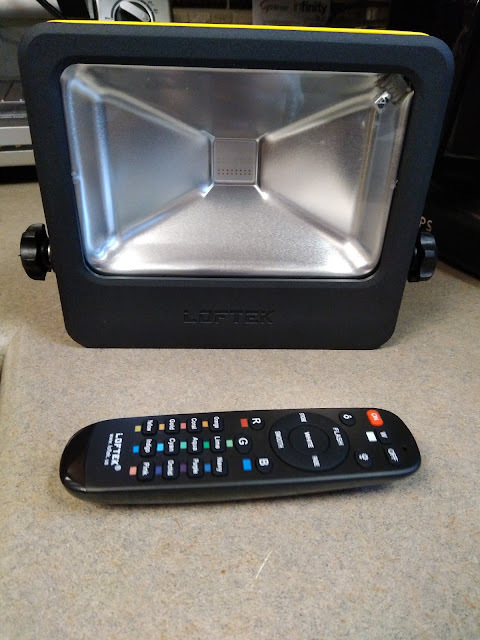 Smaller yet stronger, powerful, and built like a tank, the all-new LOFTEK Nova S features a special-made, fully-functional remote, a power supply with waterproof sealant, a 5-foot UL-listed plug, and a reliable LED chip. It also features a 120° beam angle; vertically-rotatable with an attached adjustable mounting bracket. A built-in memory function automatically saves your settings when the device is turned off. 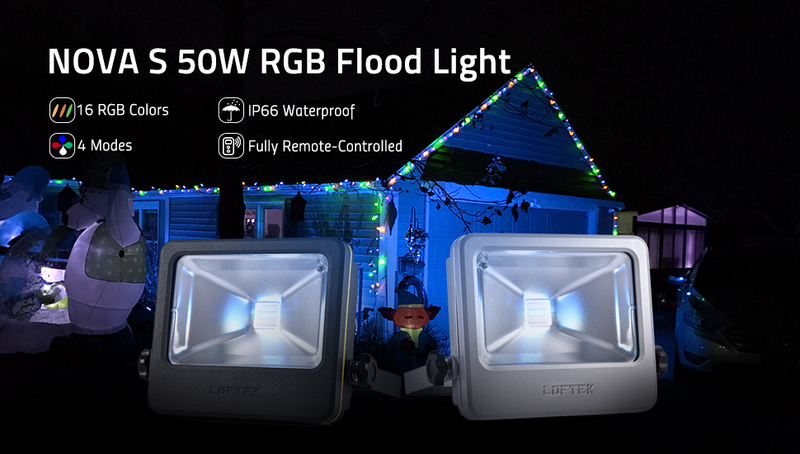 With powerful 16-color RGB lighting and four pattern modes (flash/strobe/fade/smooth), you can customize your floodlight’s settings to get precise, customized lighting effects, all via remote control. And my favorite part - it is built to last!!! The LOFTEK NOVA S LED flood light is built with die-cast aluminum housing and impact-resistant tempered glass. It is rated IP66 (completely sealed against dust ingress and moderate water jets) and optimized for heat dispersal and energy efficiency. A sturdy bracket lets you mount the light wherever you want. Whether you need to illuminate your garden, worksite, stage, party, or holiday display, the LOFTEK Nova S 50W floodlight can do it all!